Building a website is one of the first step many business owners take when starting out. Many people call me and proudly declare, "I've already got a website." They go to sites like GoDaddy.com or 1and1, type in their business name and voilà…they have a new web address. There's nothing wrong with securing a website, but does that actually protect your trademark rights? 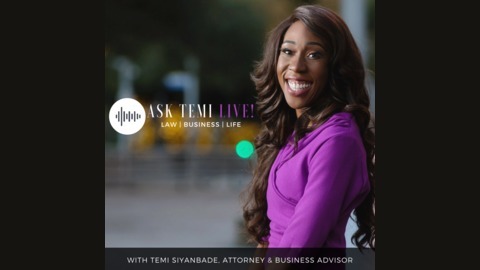 That's our focus today on Ask Temi Live! 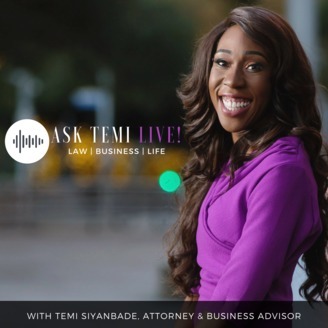 Don't miss this Ask Temi Live! Case focus: Nike vs. Gueijun Xu ► If you enjoyed this podcast, follow and subscribe: Youtube: www.youtube.com/channel/UCOYXLPT-ji5elGUe9m3wuNw Facebook: www.facebook.com/toslegal Instagram: www.instagram.com/toslegal Website: www.toslegal.com/contact Soundcloud: @user-254229038 Sticher: www.stitcher.com/podcast/temi-siy…-live?refid=stpr Apple Podcasts on Itunes: itunes.apple.com/us/podcast/ask-t…d1435714741?mt=2 Copyright © 2018 Temi Siyanbade. All rights reserved. Music: Social Kapital by Glad Rags.